I struggle to find nice cookers in miniature so I thought I would have a go at making them. Will put some on my site for sale soon. I have to wait for my order of metal filigrees before I can make anymore and more brass tubing. So I have got a load of them cut and ready to finish. Love them Sue!! They are wonderful. WOWEEEE! WOW, WOW! THESE ARE SPECTACULAR! 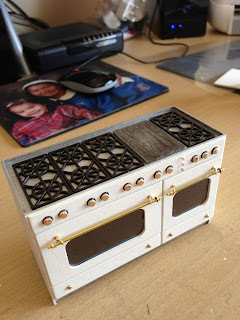 You don't need any one elses cookers when you can make something as Professional as this! 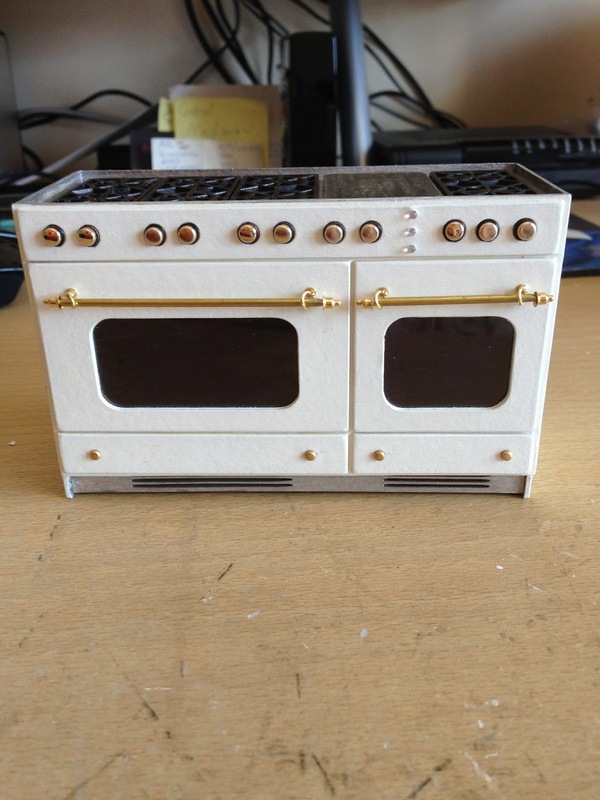 These are some of the best in miniature ovens that I have ever seen! Every modern doll's house should have one! Wow! Is the right word! They are fantastic! Please feel free to advertise your Etsy shop when they are for sale on my Monday Mini Link Party! Se ven fantasticas, me encantan.